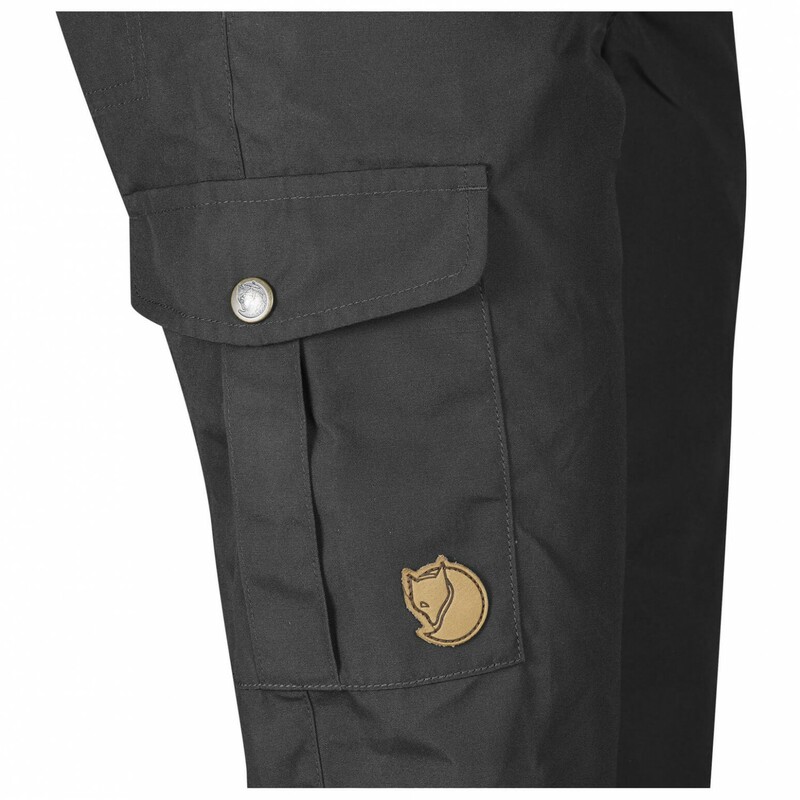 Tough and versatile - the Fjällräven Kid's Övik Trousers. 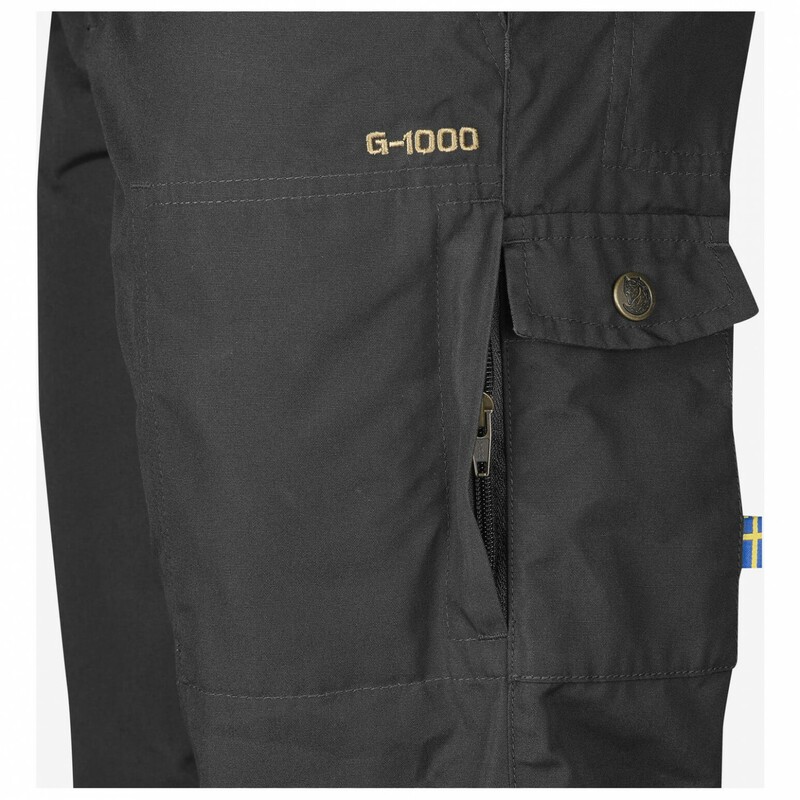 These trousers are made of a durable G-1000 Silent fabric and are ideal for hiking and trekking tours, , but also for playing and heading to school. The material is water and dirt repellent and at the same time highly breathable. Practical pockets provide secure storage space for treasures and trinkets found on adventures. 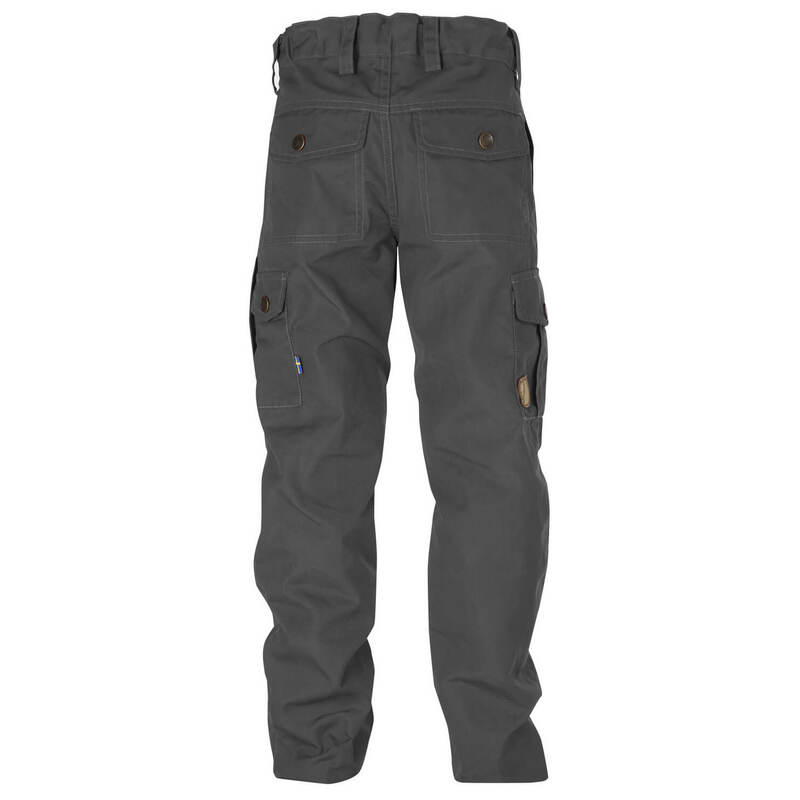 The trousers are equipped with one large side pocket on the trouser leg, two pockets for the hands and two back pockets. The elastic waistband ensures a great fit and excellent comfort. The trousers do up with a practical snap button. 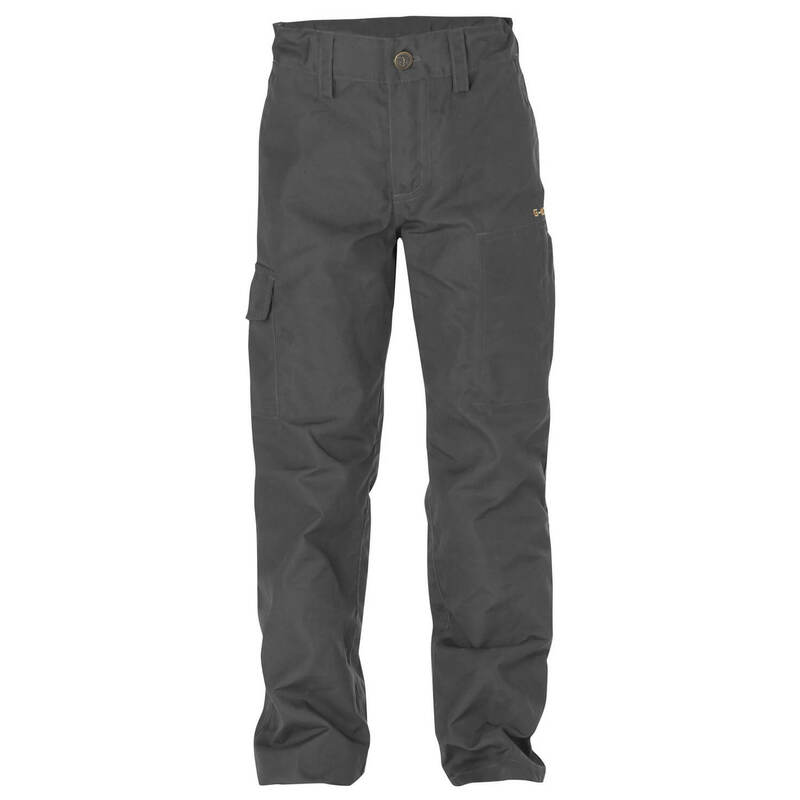 Functional and highly versatile - the Fjällräven Kid's Övik Trousers. Perfect for little adventurers!